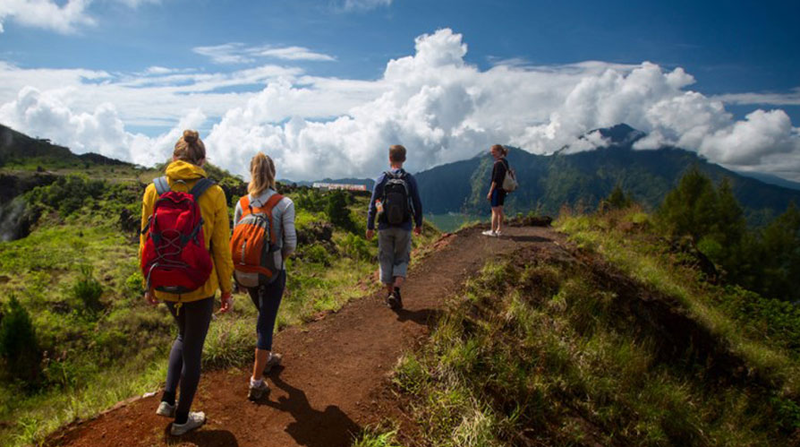 MOUNT BATUR is an active volcano that draws tourists in with both beauty and promise of Bali Adventure Tours. We offers climb Mount Batur Bali to enjoy an unforgettable sunrise from the top of an active volcano. Spectacular scenery and the vibration of the sacred earth filling your mind and soul as you served by tasty morning breakfast cooked by the steam of the active volcano. On the way home from the trek we will stop off at a Traditional Bali Coffee Processing or Bali Agretour, a place to see various Tropical plantations and see how to make Balinese coffee in very traditional process and we also get to sample of them as well as local herbal teas, coffees and the unusually processed Coffee Luwak, the most expensive coffee in the world. -Pick up at your hotel 03.00 – 04.00 AM (depend of your hotel in Bali) and direct to Jati temple as mt. Batur trekking starting point. -Arrival at starting point, introduction and safety procedure briefing by our experience professional hiking guide (association of mount Batur trekking guides).